Local Readers! I am SO excited about this special event! 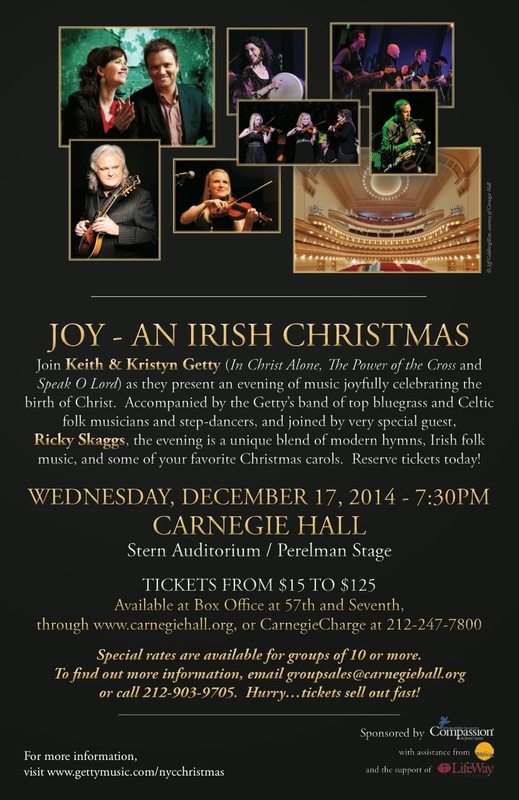 Joy: An Irish Christmas with Keith & Kristyn Getty and Friends! Next week, I have the privilege of attending this concert at Carnegie Hall! 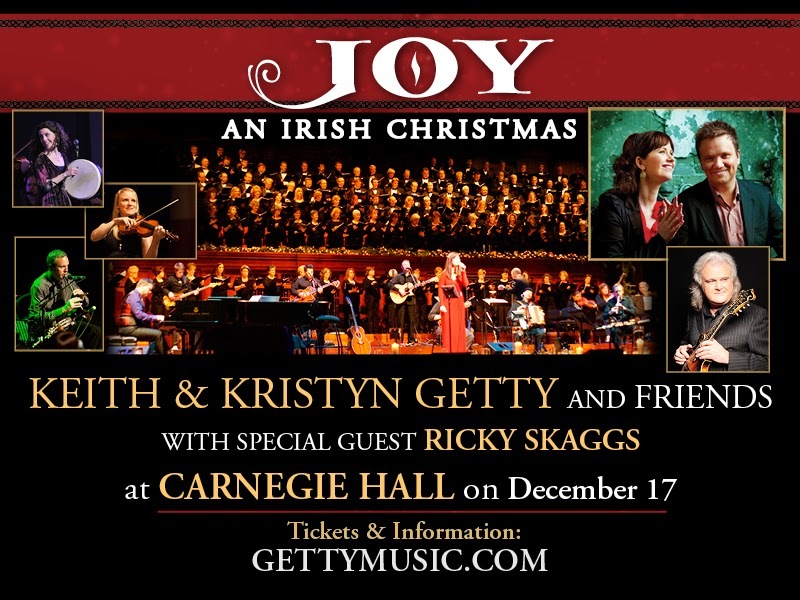 Join Keith & Kristyn Getty (Modern Irish Hymn-writers who wrote In Christ Alone) and special guest Ricky Skaggs next Wednesday Dec 17th 7.30pm at CARNEGIE HALL as they present ‘Joy-An Irish Christmas’ an evening of music joyfully celebrating the birth of Christ. Accompanied by the Getty’s band of top bluegrass and Celtic folk musicians and step-dancers and a 250 voice choir, the evening is an energetic unique blend of modern hymns, Irish folk music, and some of our favorite Christmas carols! The ticket prices range from $15 to $125 and there are limited quantities left in each section.